Oracle announced on 20 december 2013 that it will be acquiring Responsys, an enterprise email marketing software provider focused mainly on B2C. The proposed transaction is expected to close in the first half of 2014, but it is still subject to Responsys stockholders tendering a majority of Responsys’ shares. The Board of Directors of Responsys has unanimously approved the acquisition. 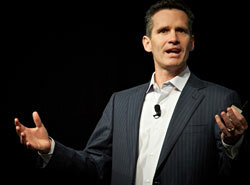 Until the transaction closes, Oracle and Responsys will continue to operate independently, and it is business as usual. Responsys is used by a list of international business-to-consumer brands, reportedly more than 450 companies. This includes names like LEGO, Orbitz and Under Armor who manage and (as Responsys calls it) orchestrate marketing interactions with their customers across digital channels: email, mobile, social, display and the web. The goal of email and digital marketing being to drive more revenue and improve the customer experience with each interaction. The addition of Responsys will extend Oracle’s Customer Experience Cloud, which includes the Oracle Sales Cloud, Oracle Commerce Cloud, Oracle Service Cloud, Oracle Social Cloud and the Oracle Marketing Cloud. Oracle already bought Eloqua earlier, by bringing Responsys and Oracle Eloqua together in the Marketing Cloud. Oracle says it will be for the first time that CMOs in industries with B2C or B2B business models will be equipped to drive customer experiences across marketing interactions and throughout the customer lifecycle from a single platform. Of course, once they bring the platforms together and integrate the whole thing. Dan also wrote a letter to Responsys clients, together with more information on the deal you will find it here. The acquisition FAQ document shows that Oracle is currently reviewing the existing Responsys product roadmap and will be providing guidance to customers in accordance with Oracle’s standard product communication policies. Any resulting features and timing of release of such features as determined by Oracle’s review of Responsys’ product roadmap are at the sole discretion of Oracle. All product roadmap information, whether communicated by Responsys or by Oracle, does not represent a commitment to deliver any material, code, or functionality, and should not be relied upon in making purchasing decision. It is intended for information purposes only, and may not be incorporated into any contract. Interact Program gives marketers the power to design multi-stage customer experiences that dynamically unfold over time and across channels according to individual preferences and behavior. With the drag-and-drop interface, Interact Program makes it easy to design experiences for every stage of the customer lifecycle. Every month, marketers use Interact Program to orchestrate over a billion individual customer experiences. Interact Profile allows marketers to create rich customer profiles with data that spans demographics, behavior, and cross-channel preferences. Data can be integrated across email, mobile, display, social, and web interactions, giving marketers the ability to react in near real time. A drag-and-drop targeting tool makes it easy to comb through big data to identify the most relevant audience for offers and other communications. With Interact Campaign, marketers can design, build, test, and execute digital campaigns that span email, mobile, display, social, and the web. Interact Campaign’s wizards make it easy to get new messages out quickly, and its message-designer tools combine ease of use with advanced personalization capabilities. Interact Insight delivers a powerful yet intuitive set of tools to help marketers analyze and optimize their marketing programs. Insight offers out-of-the-box visual reports and dashboards as well as drag-and-drop custom analytics for ad hoc analysis. platforms provide critical revenue-driving data, without waiting for company IT resources. And the Connect API is flexible enough to tap into just about any data source a marketer might need.